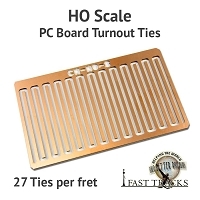 HO flexible QuickSticks crosstie strips for Gantlet track provides the craftsman with a fast and efficient method for finishing curved lengths of soldered Flexible Gantlet track built with a Fast Tracks assembly fixture. 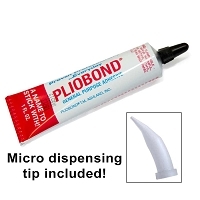 Strips can be linked together using a TieClip connector to form strips of any length. 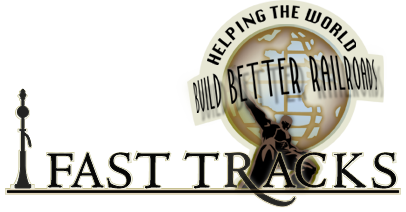 Strips can also be connected to Fast Tracks Gauntlet QuickSticks and can be shortened if necessary. 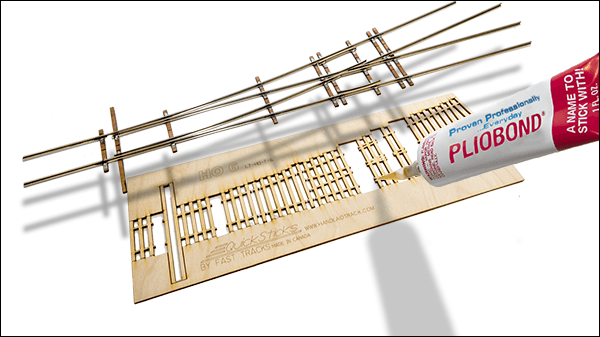 Ties on our Gantlet QuickSticks are set to Mainline spacing (20" center to center) and are 10 scale feet wide to accommodate the parallel routes of gauntlet track. 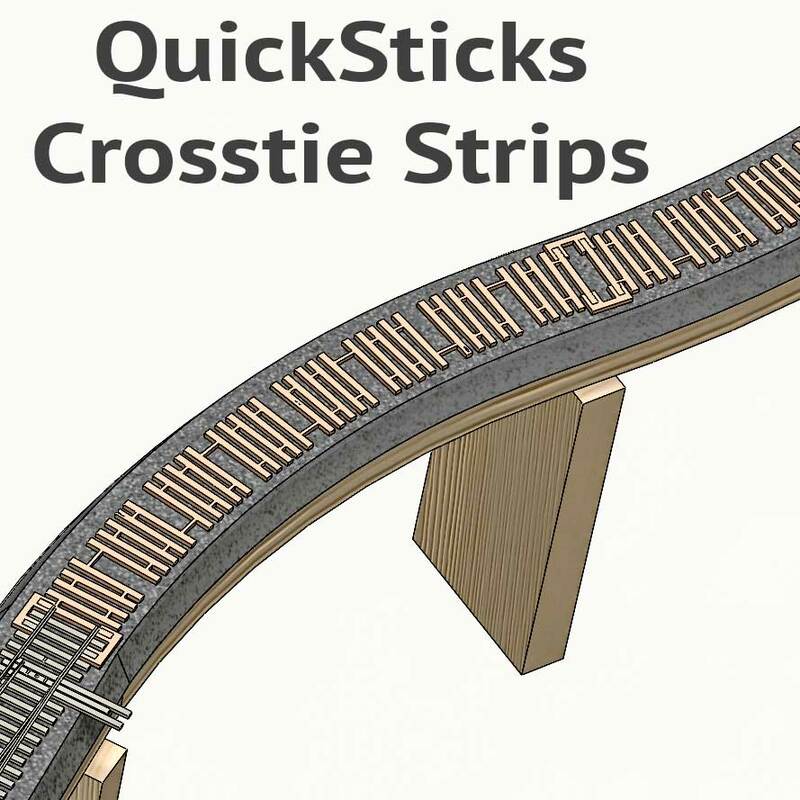 When used with Fast Tracks fixture built trackwork, QuickSticks Gauntlet Flexible Crosstie Strips offers incredible convenience and accuracy. 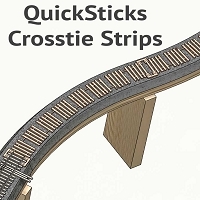 Gantlet Flexible Crosstie Strips are cut from very pliable Baltic Birch plywood custom sawn specifically for Fast Tracks. 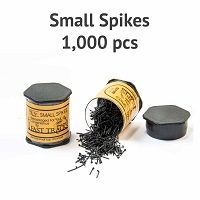 The ties are 0.1" (2.5mm) 9 scale inches wide, 1.17" (29.7mm) 8.5 scale feet long and 0.08" (2mm), 7 scale inches thick, and will match commercially available wood ties and flextrack.